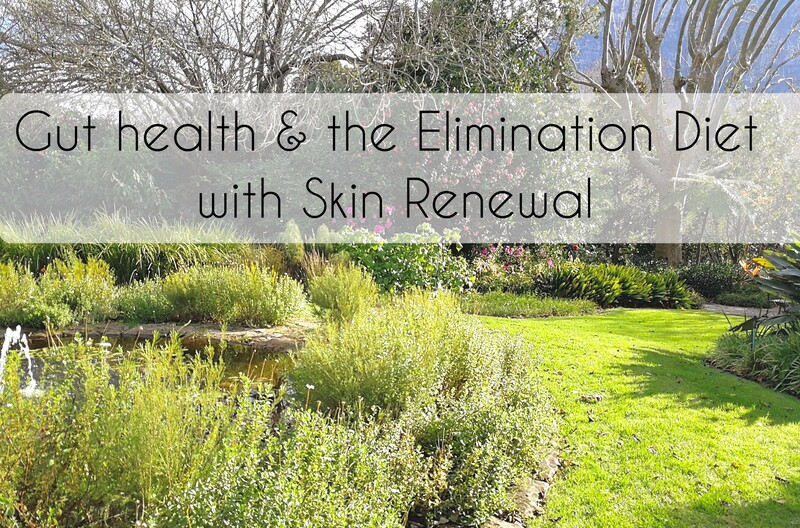 About two months ago, I had my very first consultation with Dr Graham Duncombe at Skin Renewal Cape Quarter to discuss my skin and ever worsening Fibromyalgia symptoms. I have heard quite a bit about him from the brand itself and, when I mentioned his name to many of the therapists, they all nodded and noted that he was, to put it mildly, one of the best. For the past 6 years now, I have been struggling with random bouts of acne which, now that I think about it, began just after I got diagnosed with Fibromyalgia. However, it was only after meeting Dr Graham when I realised that the two might be connected. While I have seen many doctors in that time to treat one or the other, I never really found someone who looked at every aspect of my body without focusing on either my health or my skin. Dr Graham however, focused on every facet of my everyday living to try and figure out the source of my issues which in this case, was fibromyalgia and acne. While I always knew that Fibromyalgia was brought on by inflammation in the body, I wasn’t aware of just how it all worked together. In my very first consultation, Dr Graham connected everything that was happening in my system such as teeth issues, hay-fever, migraines and fatigue and concluded that collectively, they were all connected to one big issue, my gut. After having some blood tests done and then having it all broken down by him, he explained that the next step would be for me to go on the Elimination Diet for about three weeks. Now, every single doctor I have seen has tried to put me on a diet that would magically clear up my symptoms but none of them described how it would work. As you can probably imagine, I never took any of them seriously as I was not interested in depriving myself of good food without knowing why I was doing it. Dr Graham on the other hand, explained everything perfectly and made me want to go on the diet even though it looked more like a torture plan than anything else. What I particularly liked about him was that while breaking down my symptoms, the diet and my blood results, he grabbed a page and started sketching out everything to give me a visual image of what was taking place in my body and how it could all be fixed. However, what interested me the most was the promise that by making slight changes to my diet and lifestyle, both my inflammation and skin would ease up. While this may sound quite TMI, my diagnosis was that I have something called Leaky Gut, which basically means that my intestinal lining has become porous with large holes developing in it. Due to this, the food screening process does not work as well as it is supposed to which results in large undigested food molecules, toxins and yeasts flowing into my bloodstream. Dr Graham once again grabbed a page and started drawing my digestive system, describing that the intestinal lining is the first important mechanism of defence in the body and because things were passing through the cells, my body went into fight mode where my liver started working overtime to try and remove toxins that wasn’t supposed to be there in the first place. However, my liver simply could not keep up with this demand and in turn, my immune system went into battle mode to fight off the toxins and waste. Because both my liver and immune system are working overtime, all the energy I was supposed to be getting from foods was going to their fight which left me feeling tired and fatigued. However, the body cannot always keep up with this fight and many of the toxins are absorbed into your tissues and important tasks such as filtering out blood, regulating the gut and fighting bacteria takes a step back which leads your body to fight itself and in turn, causes you to suffer with inflammatory diseases such as… you guessed it, Fibromyalgia. L-Glutamine Powder in the morning along with a tsp each of turmeric, ginger, honey and apple cider vinegar to seal up the open channels in my gut. Metagenics Gylcogenics tablets which works as my daily vitamin and energy booster. EZ Cleanse capsules to help keep things regular and assist with the detoxification. The goal of this dietary approach is to remove the most common foods that aggravate your gut lining and therefore overtax your immune system and liver detoxification system. Food allergies and sensitivities are extremely common causes of fatigue, pain, headaches, allergies, chronic sinusitis, and other problems related to excessive inflammation. The diet is dairy and gluten-free and usually well tolerated. Eliminate gluten. Avoid any food that contains wheat, spelt, kamut, oats, rye, barley, or malt. This is the most difficult part of the diet but it is also the most important. Unfortunately, gluten is in many common foods, including bread, cereal, pasta, crackers, and products containing flours made from these grains. Products made from rice, millet, buckwheat and gluten-free flour, or potato, tapioca and arrowroot may be used as desired by most individuals. Eliminate all dairy products, including milk, cream, cheese, cottage cheese, yogurt, butter, ice cream, and frozen yogurt. Avoid products like soy cheese, which are made with casein (a milk protein). Eliminate conventionally produced animal products (factory farmed, antibiotics, grain fed, etc). Choose grass fed beef only. (Check health food stores, local farmers, web, ask for resources). Chicken, turkey, lean cuts of lamb, and cold-water fish such as salmon, mackerel, and halibut are acceptable if you are not allergic to or intolerant of these foods. Select from freerange and organic products whenever possible. Organic free-range eggs with added omega 3 are acceptable. Better yet find a farmer where the chickens run and scratch for bugs and sprouts of grass. Drink clean, filtered water (reverse osmosis best) daily (body weight divided by 2 = ounces per day. Avoid all alcohol-containing products including beer, wine, liquor and over-the-counter products that contain alcohol. Avoid all caffeine-containing beverages, including coffee, caffeine-containing tea and soda pop. Coffee substitutes from gluten-containing grains should be avoided along with decaffeinated coffee. Be sure to read the labels of cold remedies and herbal preparations as they frequently contain caffeine and/or alcohol. Avoid foods containing yeast or foods that promote yeast overgrowth (processed foods, refined sugars, cheese, commercially prepared condiments, peanuts, vinegar, and alcoholic beverages). While I am sure you can understand my despair in the first week, I will admit that it got so much easier to manage. I started making healthier foods and noting the ingredients on many ‘gluten free’ products in stores. The hardest part of the diet was having to cut out caffeine and I ended up weaning myself off it by using Chicory. Happily enough, after just a few days, my breakouts eased up and I had so much more energy. It’s been a month now and I only had about 4 breakouts since starting on the diet (as opposed to waking up with a pimple or two every.single.day). Added to that, my hair has been super shiny and my nails have been so strong. Coupled with some peels and light therapy I have been having at Skin Renewal during this process, I, for the first time actually feel confident to go outside without a smudge of makeup on! I also suffer a lot less with stomach issues and found that my inflammation took a back seat. I only had one headache for the entire month and my hayfever completely cleared up! I have also made the decision to completely cut out dairy from my diet and have significantly reduced my sugar intake. I also stay away from gluten as much as possible as Dr Graham pointed out to me that it acts like glass in my stomach which could make cuts in my lining, worsening my symptoms… I mean, who would willingly want that? If you think that you may be suffering with Leaky Gut or any other sickness that influences your quality of life, then I would highly suggest investing in a few consultations at Skin Renewal. I have never before had such excellent results with any doctor and cannot shut up about how life-changing this entire experiance was. Hi there ! I have been getting breakouts and my symptoms are very similar to yours . I think I need to make an appointment at skin renewal . Can you tell me what facial products you’ve been using on your face ?